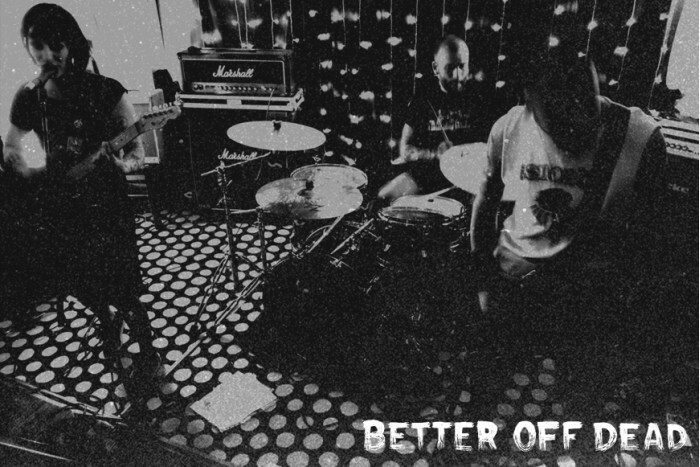 Only a couple of months have passed since the release of their first album and BETTER OFF DEAD are back with a new 7". This record opens a new era for the band. Beyond the line-up change, "Sans Issues" is the first BETTER OFF DEAD recording sung in French, and the music goes forward their previous efforts. These four songs are tense, catchy and heady without losing the great sense of melody and the personnality we used to like the band for. Some of you who saw BOD during their last euro tour may remember these songs. This 7" was recorded by Franck Neuman who also plays drums in BITPART. The nice cover art was done by frontwoman Kroquette once more and was screenprinted by Jon Ol'Dirty Hands. 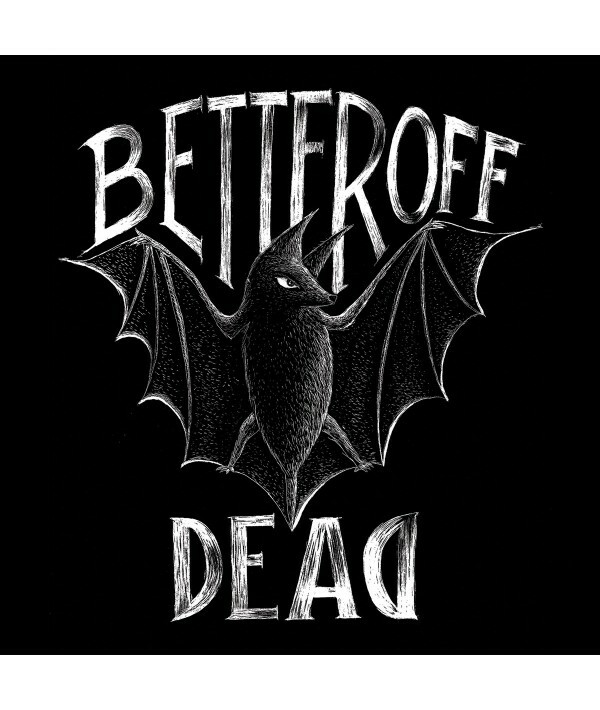 BETTER OFF DEAD will play of couple of show in France during the coming weeks, don't miss them !